Introducing the all-new 22 Sport. You talked, and we listened. Until now Contender has not offered a family friendly package in our vessels under 25’ in length. This model not only comes standard with forward and aft seating, but also has a step down console with optional head. 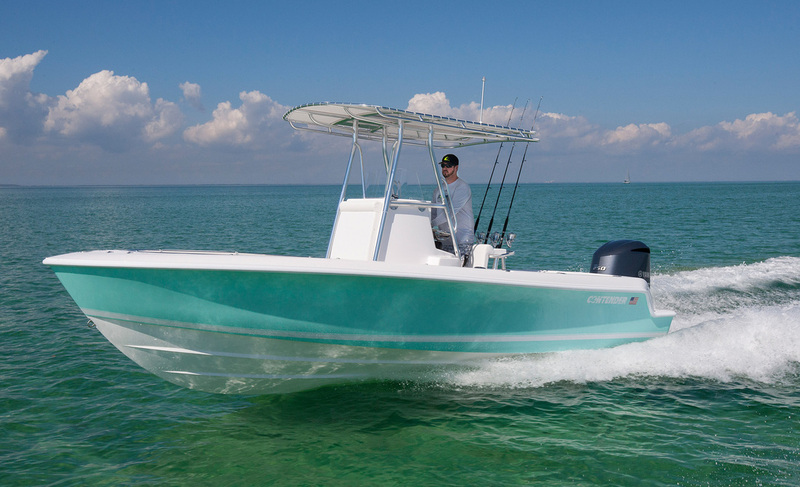 But don’t worry… the 22 Sport is built with the fisherman in mind as well with a 26 gallon transom livewell, 3 large fish boxes, and plenty of insulated storage. This truly is the perfect package for the angler who wants it all.